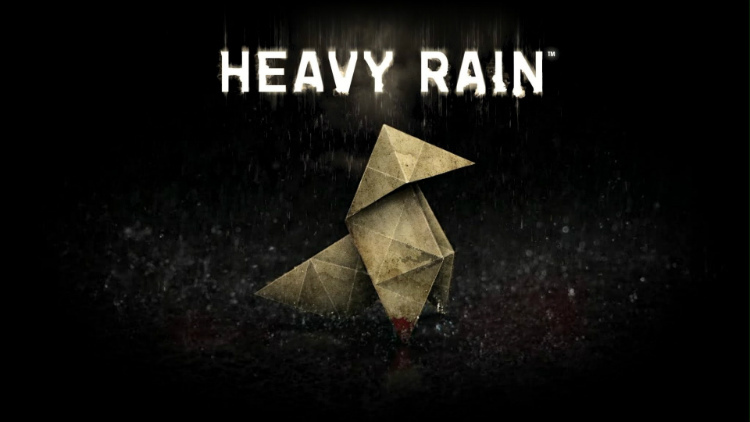 Heavy Rain, one of my favourite PlayStation 3 games of all time, has been given an HD remake on the PlayStation 4 courtesy of Quantic Dream. 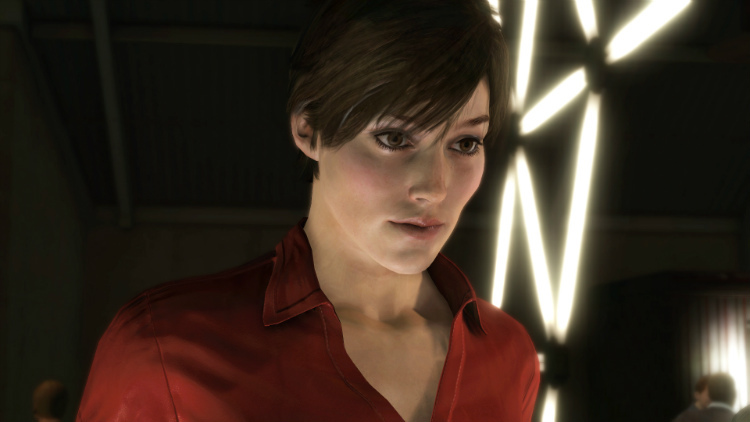 Written and directed by David Cage, Heavy Rain takes place on the east coast of the United States during the rain-soaked autumn season. Follow Ethan Mars, as he is on a desperate hunt to find his missing son, and solve the mystery of the Origami killer. In addition, you’ll take on the roles of Detective Scott Shelby, FBI Agent Norman Jayden, and photojournalist Madison Paige in this noir-style thriller. Filled with complex stories, Heavy Rain allows you make decisions and perform actions that’ll shape your experience and the outcome of the story. Does Heavy Rain still hold up six years after its initial release on the PlayStation 3? Let’s find out! David Cage has done an extraordinary job with the narrative in Heavy Rain, in that it is still every bit as enticing as it was back in 2010. Revolving around a sophisticated plot, and a range of adult themes, you assume the role of four different characters that will tell the games story. Each of the characters have a well-detailed background that is elegantly explained as the story unfolds, and reveals their motivations behind trying to solve the murders and catch the Origami killer. To be honest, the story in Heavy Rain had me by the seat of my pants, and in some instances made my toes curl wondering if I had made the right choice. My gaming sessions with Heavy Rain were long and intense—they only ended when the battery on my controller died. You’re given many different choices throughout the game, which shapes your overall experience in Heavy Rain. Unlike other games in this same genre, the results of your choices aren’t always evident immediately. David Cage does an unreal job of creating an atmosphere in Heavy Rain that goes hand-in-hand with the story line. For instance, the prologue takes place in Ethan and Grace Mars house where we are first introduced to these characters. The atmosphere is positive and the surroundings reflect that with bright, colourful graphics, and an upbeat soundtrack. However, as the story progresses and tragic events unfold, we find Ethan Mars living in a dark and grimly light apartment accurately representing a melancholy time in his life. Interaction with your environment often includes QTEs (Quick Time Events) where you perform a series of button presses in addition to thumbstick movements. Let’s take for example in the prologue, getting a shower and then getting dressed, this is done by participating in a few QTEs. However, it is quiet genius of the games designer to implement this way of interaction. Not only does this get you familiar with the control scheme of the game. This also helps to build an emotional attachment to your character, by participating in the simple everyday activities that makes us all human. Although the graphics may not be ground breaking as some of the newer native PlayStation 4 games, Heavy Rain’s graphics are no slouch. Harnessing the power of the PlayStation 4, the resolution has been increased to a stunning1080p, lighting for scenes and objects have been improved, and post-process graphical effects such as anti-aliasing have been implemented. Heavy Rain has never looked better! As much as I love the interaction with the environment through QTEs, there are some instances where I had trouble performing the requested thumbstick actions in quick successions. Although these troubles were rare, the handful of times when they did occur, I was able to complete the QTE on my second try. Heavy Rain is the type of game that you can play several times and each time have a new experience. Six years after its initial release, the story, gameplay, and graphics still hold up. The magic of Heavy Rain lies in the flexibility of the story where the decisions you make at key points in the game can change the direction of the story completely. If you are a fan of Until Dawn, The Walking Dead, or Life is Strange—then you will absolutely fall in love with Heavy Rain. If you’re looking for an experience that combines gaming, drama and an immersive cinema experience unlike any other you fall head over heels for Heavy Rain.